My husband found Next Owner online. We live in Mississippi and drove to Tuscaloosa to look at a Camry. 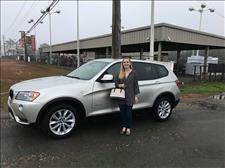 I ended buying a BMW X5 that day. It was super clean and hadn't even been detailed yet. I am so glad my husband found them. 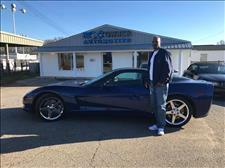 John T. Murdock recommends Next Owner Automotive LLC. 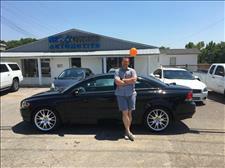 If you're looking for a previously owned automobile this is the place! These guys know the business and are so easy to deal with. If they don't have what you're looking for just ask them and they'll get it for you. Give my friend Harry Matos a call for your next purchase. I bought a car from them but I am from Oklahoma. I had a friend stop by and check the car out, it was just what Casey said it was condition wise. I did the whole transaction through emails and texts. I had to fly into Birmingham and they set up a driver to meet me at the airport with the car. So, I never got to meet them in person as the driver had all the paperwork with him so I was able to leave from there. Everything went smooth and the driver even had the car filled with gas when he met me. I was not familiar with Birmingham and the traffic was a mess so it was nice not have it delivered on fumes and have to run to a gas station first thing. 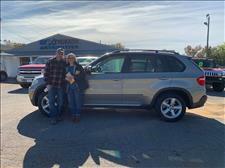 A nice transaction overall and please with the vehicle. Tuscaloosa is a bit out of the way for me but if I need a car in the future and they have what I want I would do business again. Thanks! Matt and basically everyone helped us in the process of buying our new family car. I saw their post about the vehicle on Facebook and came in two days later to test drive it and purchase on same day. 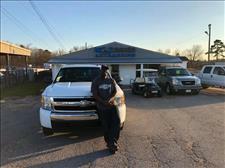 By far the best place to get a used vehicle!! If you’re looking, do yourself a favor and give them a visit. My experience here was great. 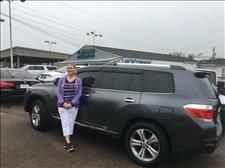 Everyone was very nice and made sure that I left the dealership with everything handled correctly. And they kept my baby niece occupied while we were sorting everything out ?? thank you for the awesome hospitality! They were super helpful and patient with all the cars we wanted to take a look at . As soon as we steppped on the property, everyone was very polite and helpful. Awesome job you guys!! If you coming from another city and are lookin for awesome deals on good cars, I highly recommend you stop by next owner! ???? ?I had an awesome experience dealing with everyone at NextOwner. Matt and Casey were very helpful and informative thro... MoreI had an awesome experience dealing with everyone at NextOwner. 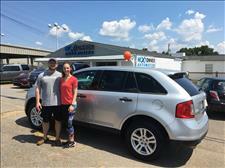 Matt and Casey were very helpful and informative throughout the entire process. I was also very happy with their amazing customer service in making me feel welcome. I received an amazing deal here and will definitely be referring my friends and family to purchase their next vehicle from NextOwner! We drove all the way from Prattville to test drive a car at Next Owner Automotive and it was worth every mile of the trip! Outstanding customer service. Genuine, friendly, kind, and transparent personnel. 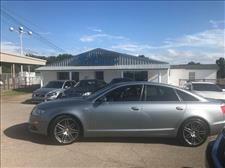 Outstanding pre-owned vehicle selection from domestic, to imports, to exotics, this place has it all! 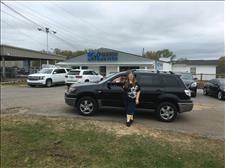 I definitely recommend Next Level Automotive for your next vehicle to anyone within 200 miles of Tuscaloosa. 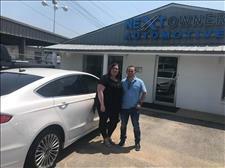 Totally worth the drive to deal with the Matos family and the...ir terrific staff and affordable inventory at Next Owner Automotive of Tuscaloosa. 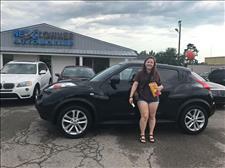 Thank you all for a fantastic car-buying experience!!! Very smooth and easy process working with Harry, Heather, and Casey! We are beyond thrilled with our purchase!! Highly recommend!! If you're looking for honesty and friendly people to purchase a vehicle from this is the place to go. Casey was very helpful in helping us find the car we wanted. We never felt the pressure that you feel from most salesmen. 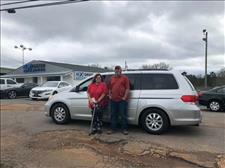 Casey, Harry and …MoreIf you're looking for honesty and friendly people to purchase a vehicle from this is the place to go. Casey was very helpful in helping us find the car we wanted. We never felt the pressure that you feel from most salesmen. Casey, Harry and Heather were great to work with. Will be sending anyone I know that's looking for a vehicle to them. Buying a car can be an uneasy experience because you worry about getting ripped off. If you go to Nextowner Automotive, those worries are not an issue.  I had a wonderful experience when purchasing my vehicle from them. 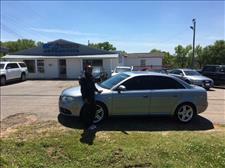 They are kind and a …MoreBuying a car can be an uneasy experience because you worry about getting ripped off. If you go to Nextowner Automotive, those worries are not an issue. 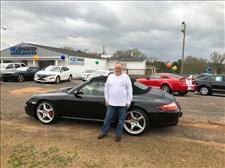 I had a wonderful experience when purchasing my vehicle from them. They are kind and a very courteous staff. They made my purchase an easy process. I can't thank them enough for treating me so very kind because I often get anxiety attacks and I didn't have an issue dealing with them. 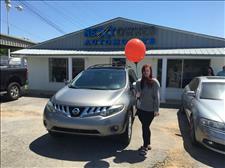 I would tell anyone to go to Nextowner Automotive for their future vehicle purchases. They are the best! The Next Owner family worked me with for over 2 weeks until I finally got approval for my 2009 GMC sierra 4x4. Thanks to everyone there for all there great work and support. 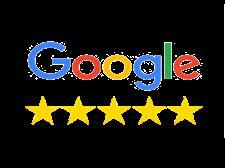 I would definitely recommend them other customers, friends, and families! I had a super great experience with Next Owner!! 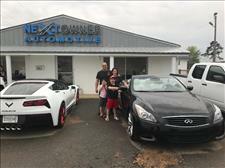 Harry and Heather are super personable and are really set on helping you out. I had a lot of complications with my forms and they stayed patient and really jumped through hoops to help me …MoreI had a super great experience with Next Owner!! 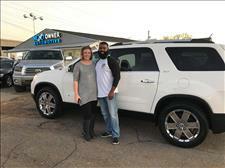 Harry and Heather are super personable and are really set on helping you out. I had a lot of complications with my forms and they stayed patient and really jumped through hoops to help me with everything. 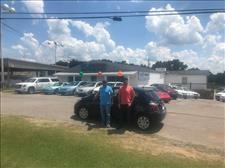 If I ever have to buy another car in Tuscaloosa I will definitely be going back, and recommending all of my friends! I would highly recommend this place to anyone. They are fabulous people and easy to work with. 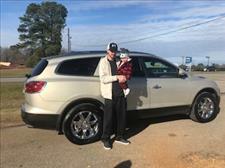 Thank y’all so much for the perfect SUV for our family. Excellent customer service. Honest right from the start. The car was everything they advertised. Not pushy, let the car sale itself. We drove 2 hours out of state and was NOT disappointed. Harry, Heather, and staff were great. Love my Avalon! I absolutely LOVED my experience with Next Owner!!! Definitely recommend this place if you are on the hunt for a nice vehicle!!! 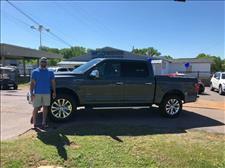 I had a great experience buying a truck! Customer service is the best in town! We were in and out in under 2hrs. I highly recommend them to anyone. I had a wonderful experience! Photos were a true representation of the car. 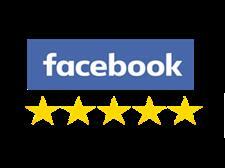 Transaction was smooth and easy, and staff was extremely friendly and helpful! Would absolutely do business with them again. Next Owner Automotive had the truck I wanted and they did everything in their power to make sure I got it. From my mistakes on the paperwork, to delays in getting their payment, to dealing with their bank and my lender, Harry and Heather worked with me and for me, long after the deal should have ended. They are the absolute best.